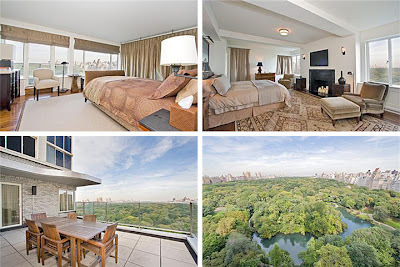 According to the celebrity gossips at Life & Style via the hard-charging kids at Curbed, international pop music entertainer Lady Gaga has inked a deal to rent a deluxe duplex penthouse on New York City's high-fallutin' Central Park South. The aerie, atop a decidedly luxurious but unassuming 1940s gray brick apartment block, was last listed at $22,000 per month and has unobstructed views that sweep over the entirety of Central Park. 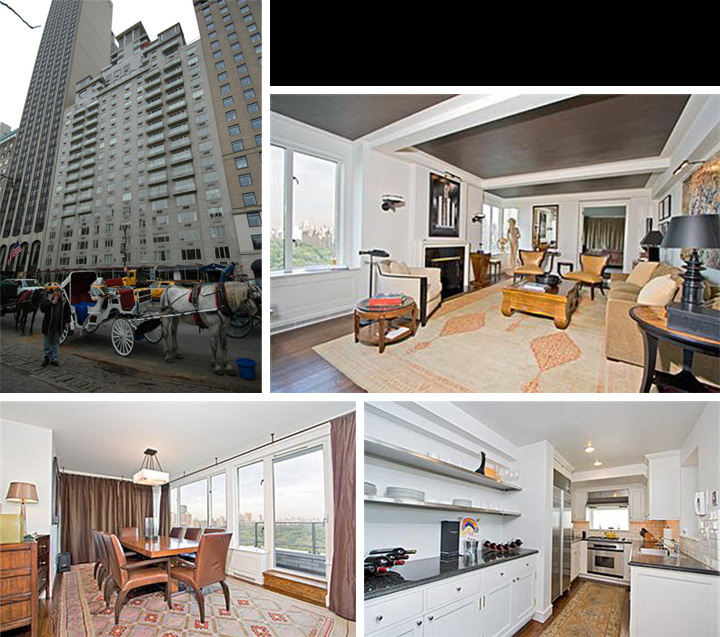 Listing details show Mother Monster's new—if temporary—crib in the Big Apple has two bedrooms, two bathrooms, two wood burning fireplaces—living room and master bedroom, and four terraces in 1,935 square feet. There's a step-down living room with balcony, a separate dining room also with balcony, and a small but expensively-outfitted U-shaped kitchen. 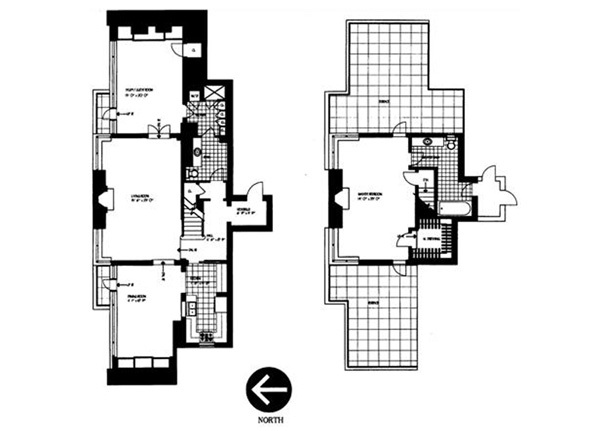 The lower level bedroom links through to a compartmentalized guest bathroom and the upper level master suite includes a good-sized private bathroom, a walk-in closet, and direct access to spacious pair of park and city view terraces. 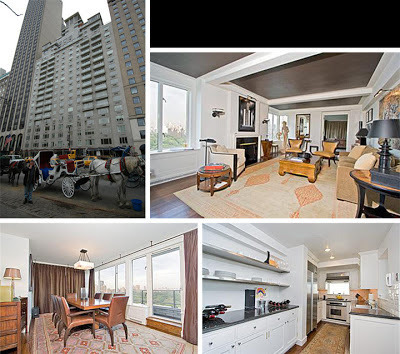 Several months ago the property gossip gal at the New York Post revealed that at least three other Showbizzers have previously occupied the penthouse: disgraced cyclist Lance Armstrong, seven-time Tony winning Broadway bigwig Michael Bennett, and Liza "with a Z" Minelli. The full-service luxury building does not have a private health club but it does offer its well-heeled rental residents an attended lobby with full time doormen and concierge services and a private, on-site garage, a rare feature in Manhattan that was—no doubt—quite desirable for a gal who's frequently if not always trailed by a band of fervent Little Monsters and snap-happy paps who would—no doubt—gleefully follow their pop cultural leader into the damn stirrups if they could. I must have been in a bubble...because I DID NOT HEAR!!! Thanks Mamma!!! When you add up taxes, property maintenance fees, utilities, and the possible loss of your investment (and the return on cash paid for the property), she is a smart gal to lease. And I neglected to say in my prior comment that that is approximately $733 per day. 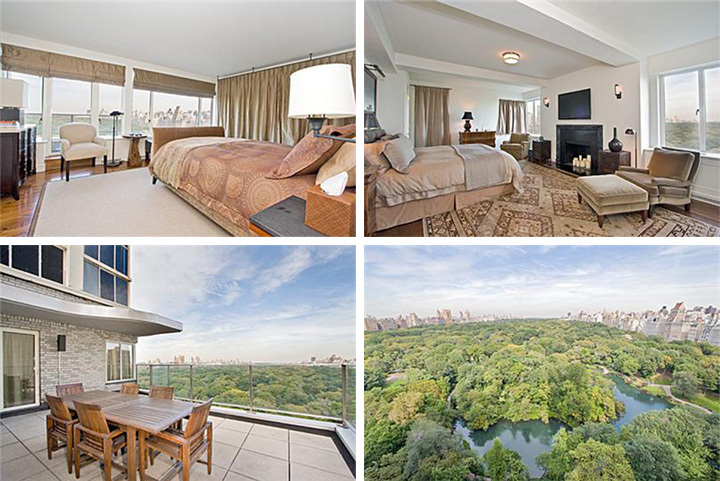 Try finding a luxury hotel room for than in NYC. i think i would make the upstairs (master bedroom?) into a living room to better access the patios. it could be a combination living room/ guest room (may be turn that walk in closet into a bed alcove?